Dana Small, professor of psychiatry at Yale University School of Medicine. The big players, calorically speaking, are fats and sugars. And the reason we desire them is because they activate our neural reward system, flooding those brain regions with the neurotransmitter dopamine. But studies show that fats and sugars trigger those rewarding bursts of dopamine in different ways. To find out, the researchers set up a sort of snack-attack auction. Participants were given some spending money, then shown pictures of familiar foods and invited to bid. The edible items fell into three categories: those high in fats but low in carbs, like cheeses; those packed with carbs but lacking fats, like pretzels; and those that were full of both, like cookies. Alexandra DiFeliceantonio is an associate research scientist in Dr. Small’s lab. That additive effect of fats and carbs was apparent in brain imaging that was done as the participants prepared their bids. 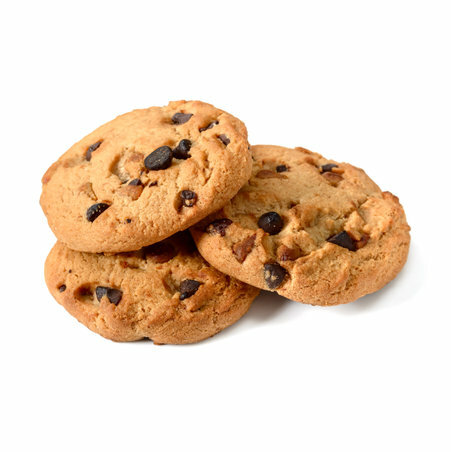 The findings suggest how that crave-causing combination of carbs and fat can lead to overeating—and why even if you’re a tough cookie, you’ll likely crumble when presented with chocolate-chip goodies.